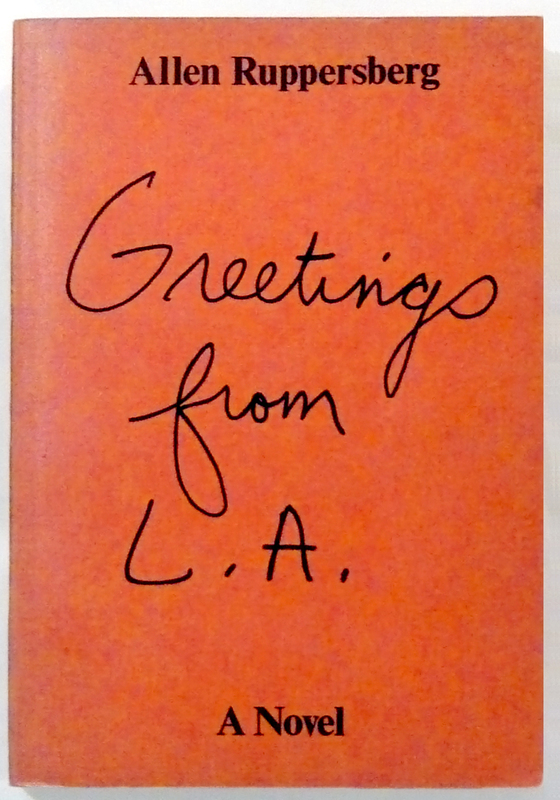 6decadesbooks: RUPPERSBERG Greetings From L.A.
RUPPERSBERG, Allen. Greetings From L.A. Los Angeles: Self-published, 1972. 8vo. ; orange printed wrappers, spine very lightly sunned, otherwise fine copy. First Edition; Signed and numbered 47 from an edition of 200 copies (of the edition an unknown number, probably fewer than half, actually were signed and numbered.) 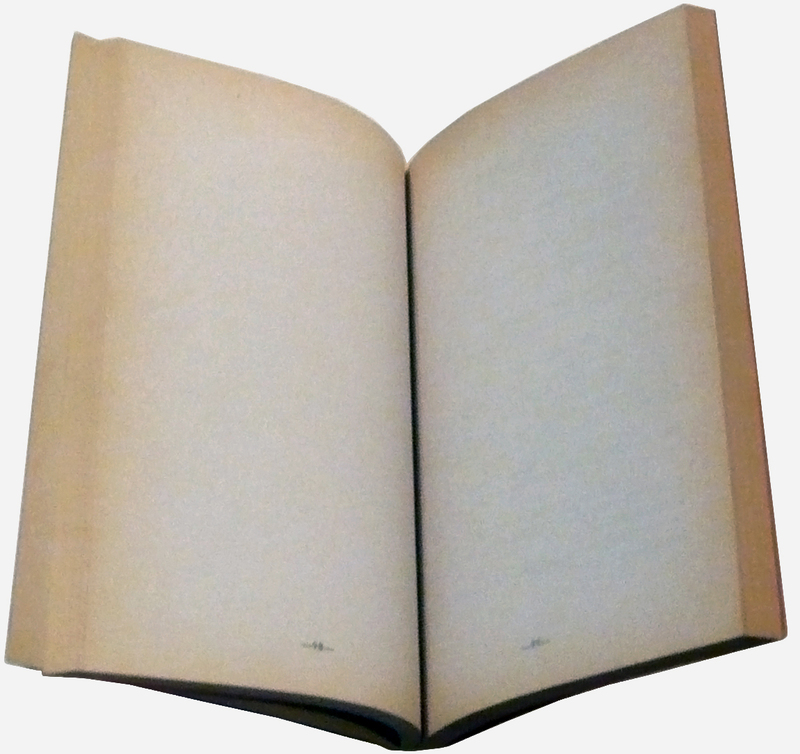 The back cover blurb, written by Ruppersberg, is a parody of the puffery found on the sort of pulp novels that maintain pretensions of literary style. The blurb is accurate, however, in calling the writing “austere.” In fact there is very little writing at all with eleven pages of text scattered throughout the book and the other pages numbered but otherwise blank. The text, what little there is of it, is a "Tinseltown" pastiche that reads like third-rate Raymond Chandler. But, for Ruppersberg, it is the blanks that count. As with his earlier, photo-based artists’ books and the photo series Where’s Al?, which is based on his own repeated failures to appear, Greetings from L.A. is about what’s missing. Its a conceptual exploration of narrative that works by understanding how the mind will, if presented with the merest suggestion of a storyline, immediately begin to read between the lines. It is a book about the imagination confronting blankness, or to put a Hollywood gloss on it, a “Dream Factory.” So perhaps Ruppersberg’s book is the quintessential L.A. novel. At the very least Greetings from L.A. is the perfect rejoinder to the famous quip about Los Angeles--after all, is not a city where “there’s no there, there,” the ideal venue for the imagination at play? Ruppersberg’s influence seems only to grow with time. He is increasingly seen as major innovator on par with such Los Angeles contemporaries as Ruscha, Nauman, and Baldessari. This book is an iconic early work.